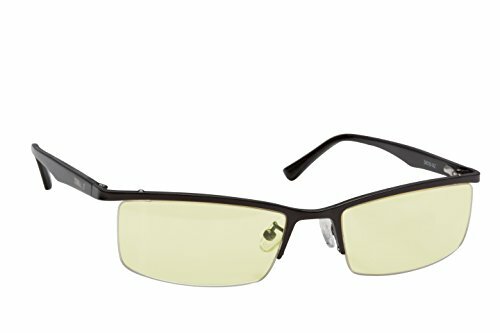 Terramed Eagle Migraine Computer Office glasses - block blue light, Anti-glare,Minimize digital eye strain, target objects on screen easier, prevent headaches, sleep better, reduce eye fatigue by Terramed at Home Entertainment Centers Online. MPN: 43272-168. Hurry! Limited time offer. Offer valid only while supplies last. Terramed eyewear patented technology designed to protect your eyes - High Energy Blue Light emitted by electronic devices such as computers, tablets, and smartphones have shown to increase the risk of accumulated damage to the retina, cataracts, sleep disorders and mascular degeneration.